On our tour of Israel last week, we moved so fast and saw so many things that it was almost overwhelming. There’s an expression we use for new people at work who are trying to get assimilated into our company and are trying to learn and absorb too much information at once. We call it “drinking from a fire hose”. That phrase was used on our tour more than once because of all of the information and locations that came flying at us in a short time. We went from the airport to Joppa to Tel Aviv to Caesarea Maritime to Capernaum to Magdala to the Dead Sea. We were on the Golan Heights, at the Syrian border, went into Palestine, and looked just across the border into Jordan. We stood in mountaintop trenches next to UN observers. Our tour took us to Mt. Carmel where we imagined Elijah confronting the prophets of Baal and looked out over Megiddo and the future site of Armageddon. We encountered diverse cultures and people. 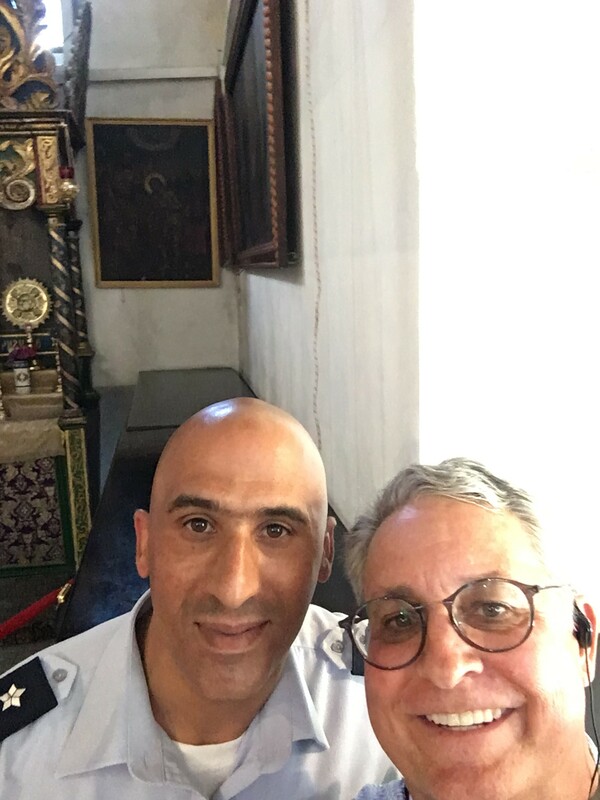 I even met a nice Palestinian guard! Who took me through the Holy Land and showed me all the treasures there. Teaching our group of Baptist pilgrims just like Solomon the wise. As we Moved faster than a nomad bedouin could unfold his tent! 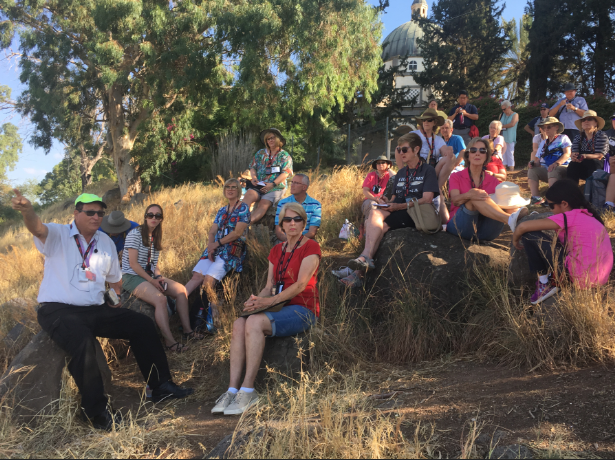 We saw Israel’s treasures from the Syrian border to the South, Learning from the stream of wisdom as it came from Shlomo’s mouth! Learning more of history than Herod who was called the great! But led by Shlomo, Larry and Chad, we did not let a moment waste. And I saw his city in Jerusalem, still alive and strong. Where he called for Baal and his unholy prophets to retire! With Truth and legend intertwined so much that it could make you doubt. Will this tranquil place become the Armageddon battlefield? That they brought us to this place, this week, for Shlomo’s teaching. So many things both big and small, and in this list not nearly all! Ancient Scriptures, Dead Sea floating, doing Galilean boating! Marketplaces. Children playing. Rabbis swaying as they’re praying. Modern life and ancient tels are my mosaic of Israel. I’ve been near the place where Peter wept because a chicken squawked! But I have seen the Holy Land, and walked where Jesus walked. But I have been to The Holy Land. And I know it’s true. 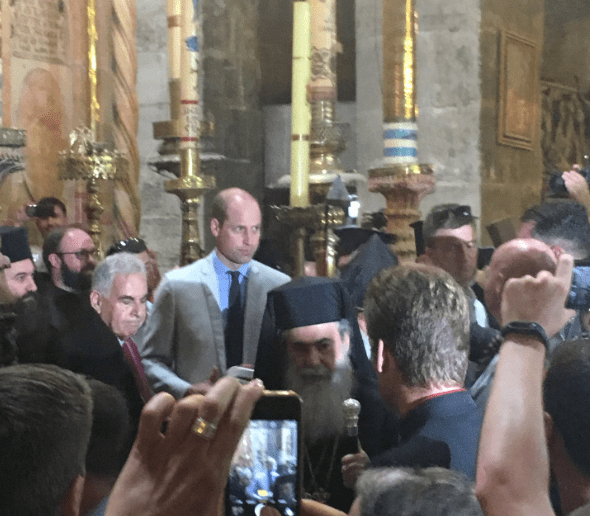 This entry was posted in Daily Devotions, Poetry, Thought for the day and tagged Bible, Daily Wisdom, Devotional, inspiration, Israel, observation, Shlomo Ben Asher, spiritual, the Holy Land, tour by admin. Bookmark the permalink.